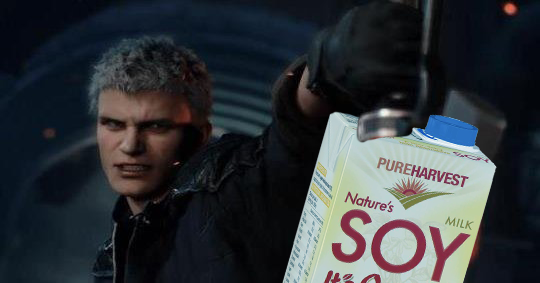 Dropped into DMC5 with some milk. I hope Nico can turn it into a new arm. I'm in Smash Bros with a bottle of beer. So... I'm just gunna drink it and iump off the side before ike fairs to upairs me. So i'll be in Super Smash Bros. Ultimate with a ticket for an expohouse of sustainable energy production and biodiverse, organic crops. Well i Guess as long as i don't enter World of Light... Maybe i could get the help of Piranha plant. So I've been dropped into Westeros, in the Iron Forest, with a Crunchwrap Supreme and a Diet Dr Pepper? I've been dropped into the World of Final Fantasy with a hot dog. I saw the thread title and said thought it was really poorly thought out because chances are the last thing most people bought was food, and sure enough. I'm dropped into the world of Hitman with a burrito so...it's basically a regular game of Hitman. with a physical copy of super mario party? Wait wut. He'll just put that poison in your burrito while you're distracted by a overflowing sink. Fire Emblem Fates w/ a 1982 Farmers' Almanac. Metro exodus with a packet of mcvities chocolate digestive. I totally just bought an assault rifle so I'm going to beat cooking Mama easily. Mama is the only thing standing in my way. with a warhammer 40k Nemeghast box. The last game I played is the last thing I bought. Thankfully when the universe subsequently implodes I'll be taking the rest of you with me. I'm going to Cainhurst. I have a download voucher for Borderlands 2 VR. This will not end well. DMC5 with a bag of weed. I'm fucked. The Division 2 with a can of red bull, some sparking water, and some loo roll. I'll get on a caffeine high and teepee the white house and get away with it! So I'm dropped into Destiny 2 with just my Whataburger Sweet and Spicy Bacon Burger with onion rings and a large tea? Whataburger will replace the ramen shop at the tower. I am dropped in New Super Mario Bros on Switch with an entire loaf of french bread. It's over 2 feet long, I think I'll be okay. please don't make me play the nonary game with just a cup of coffee to help me. RE2 with two bags of groceries from Trader Joe. Last game I played was Civ VI. Last thing I purchased was fuel for my car. Founding my first city on Oil is an okay start. So I'm in DMC5 with a chicken salad sandwich. Yup, I'm screwed. Stardew Valley with a bottle of Jamison. Apex legends, and a tropical flavored Red Bull is my weapon, sounds ideal to me. I’ll be the last one standing. DMC5 with a pretzel bagel. Black Ops 4 with a new pair of jeans. A LEGO set in Ace Combat 7.....I guess I will go fund a huge toy company with my prototype? Ride a Space Elevator? Stage a shadow plot against the two largest superpowers? Lots of possibilities! DQXI with toothpaste... great. 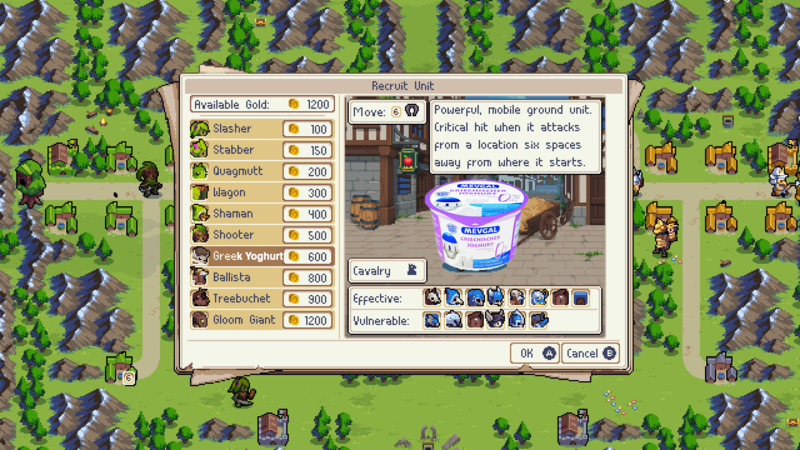 I'll come up with a campaign to market it to Kisser mobs. Crap, just played Destiny 2 and bought a digital version of Division 2. What do I do with an intangible product?!? Classic Doom 2 (in a user created map), with... a plastic fork? Super Hot VR with washing machine. I could climb inside it and wait til the baddies approach, then kick open the door. I’m in Raccoon City, armed with a copy of Die Hard with a Vengeance on Bluray. I dearly hope I can solve a puzzle with it and get a shotgun. Lucky for me my last game was Sims 4, so I'd be relaxing living normal life with my McDonald's lunch. I'm giggling because I'm apparently getting dropped into FFVIII with a Keyblade.